It feels like ages since I’ve last been for a mooch around the shops. Here I am in MANGO. 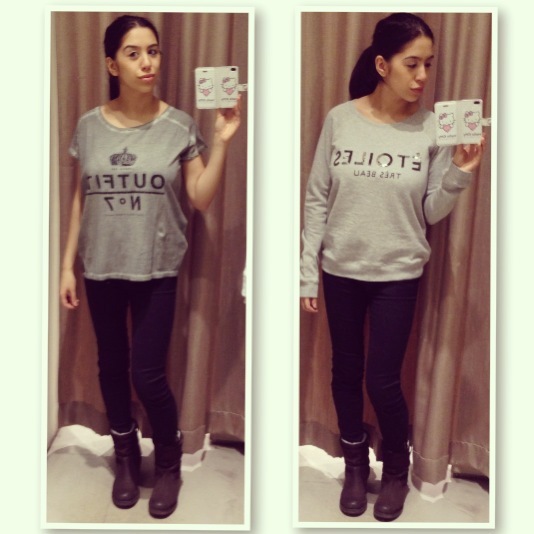 . . Love this Outfit No.7 T-Shirt and Étoiles sweatshirt. The outfits may seem rather winter-like, not what you’d expect for Spring (not a floral print in sight today) but the English weather is so unpredictable that there are days even now when we can comfortably wear thick boots and a warm jumper..
We’ll never get bored of the sweatshirt, chic and easy to play matchy matchy with. Posted in A COLOURFUL LIFE. Bookmark the permalink.